Semple & McKillop have delivered two low energy Schools in West London. 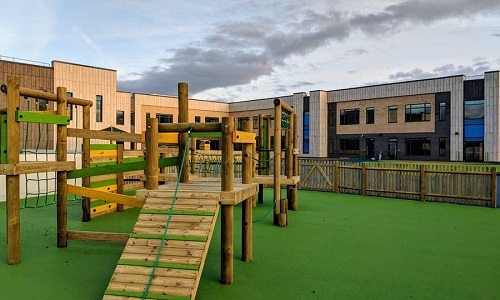 Both Schools achieved the BREEAM standard and were delivered to ‘London Plan’ certification which required 35% improvement on Part L Building Regulations. Services have been designed for specialist teaching, group and therapy spaces for students with autism spectrum disorder, severe learning difficulties and profound and multiple learning difficulties. The SEN Schools cater for students from nursery, through primary and secondary, post-16 and 19 to 25. Marjory Kinnon, sited close to Heathrow Airport spans over 9500m2. Gresham is a 3-storey school spanning 8,500m2 with hydrotherapy pools, music recording studio, sports hall and gym open to the community. Working with the design and contracting team, Semple & McKillop delivered in BIM to LOD 6 which supported a high level of design coordination and an accelerated construction programme. Semple & McKillop delivered this scheme with Farrans Construction as the main contractor and Dowds Group as the M&E contractor.